File Type :- PPT File. Cold-formed steel (CFS) members are made from structural quality sheet steel that are formed into C-sections and other shapes by roll forming the steel through a series of dies. No heat is required to form the shapes (unlike hot-rolled steel), hence the name cold-formed steel. A variety of steel thicknesses are available to meet a wide range of structural and non-structural applications. 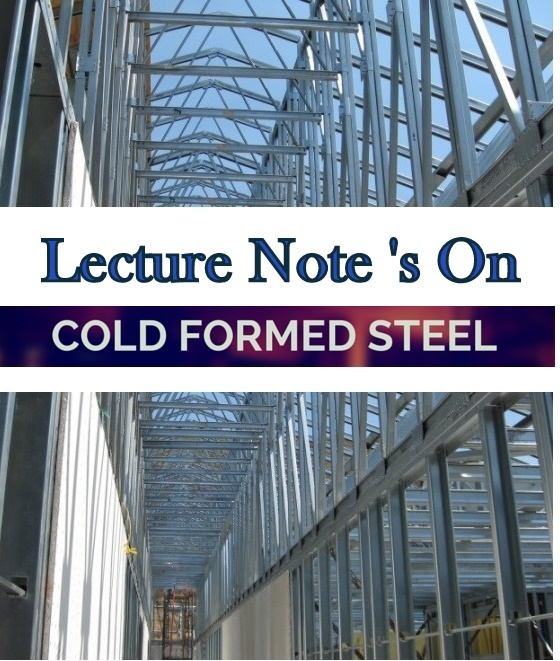 IS 801-1975 “Code of Practice for Use of Cold-Formed Light Gauge Steel Structural Members in General Building Construction”, Bureau Of Indian Standards, New Delhi.